So excited to introduce you all to Emily. I met her last year at Quilt Market and she is a delight. So professional and fun to chat with! We had lunch together and thought she would be a perfect fit for the quilt group- so happy she agreed! 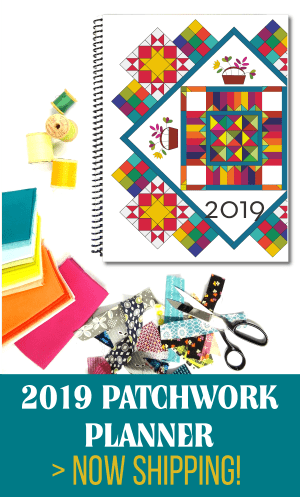 She has been busy this year with a new book (you need to check this out if you are into hexagons and fun shapes to sew). Her ideas are fresh and new, but not overwhelming because they are broken down by shapes– that are repeated, so they are easy to build and use. Love it. 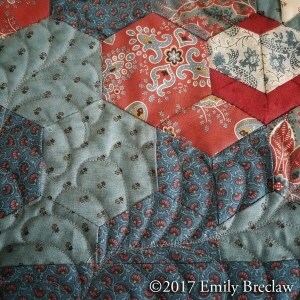 Emily Breclaw began her quilting journey in college. 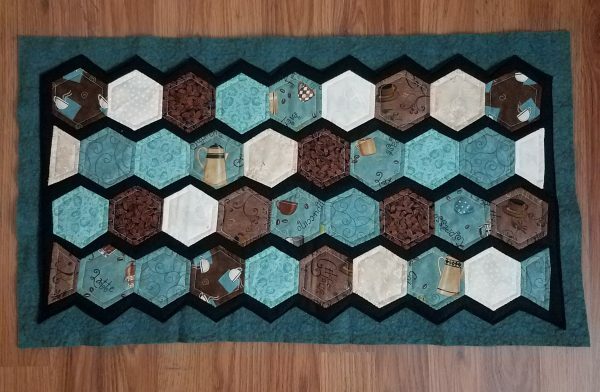 She and her sister saw a magazine picture of a yo-yo quilt and decided to make their own. 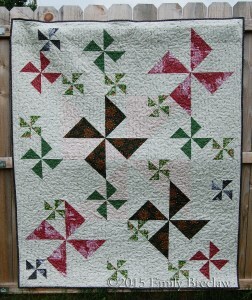 Several years, and several thousand yo-yo’s later, they both had gorgeous quilts and fabric addictions. 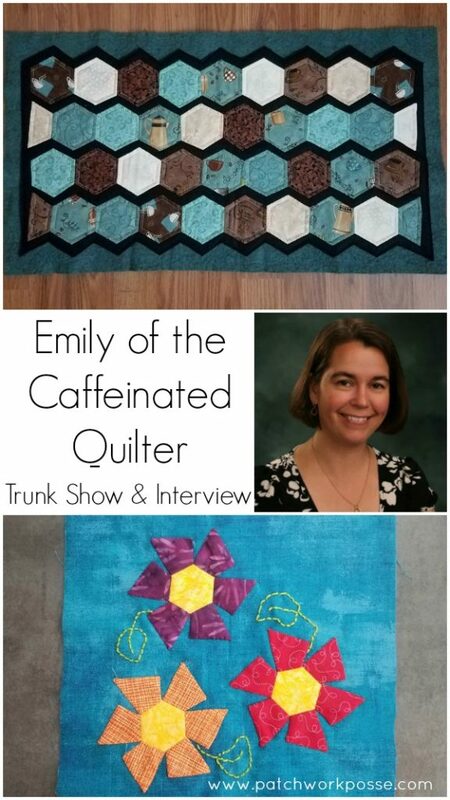 Since then, Emily has created over a hundred quilts for family members, charity work and customers. 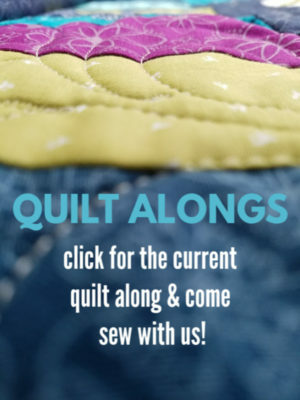 She has also taught introductory quilting classes. 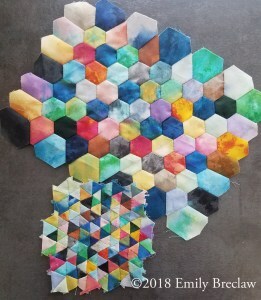 In 2010, she began playing with hexagons and looking for unique ways to use them. 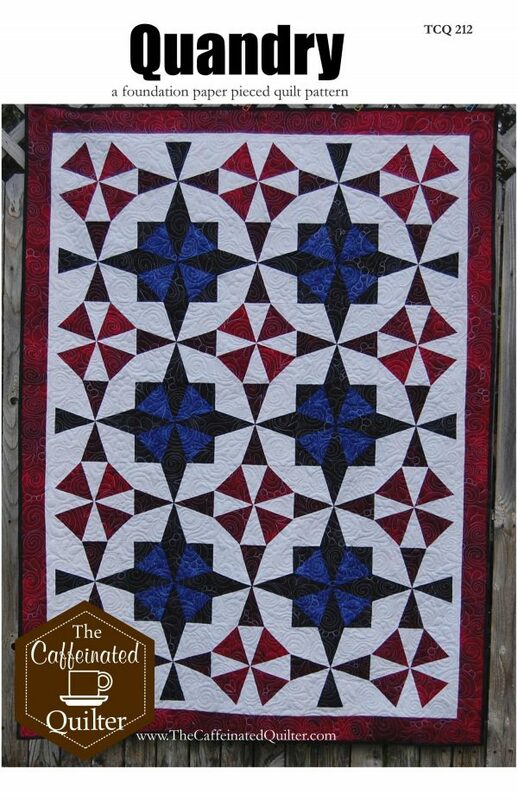 In 2011, she began The Caffeinated Quilter to promote her innovative hexagon designs. 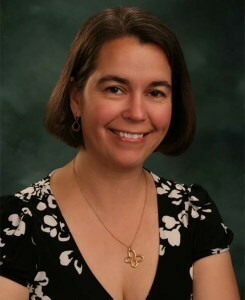 Her patterns have been featured in magazines including Stitch, Quiltmaker and American Quilter. Her first book, Adventures in Hexagons, was published by C&T Publishing in 2017. 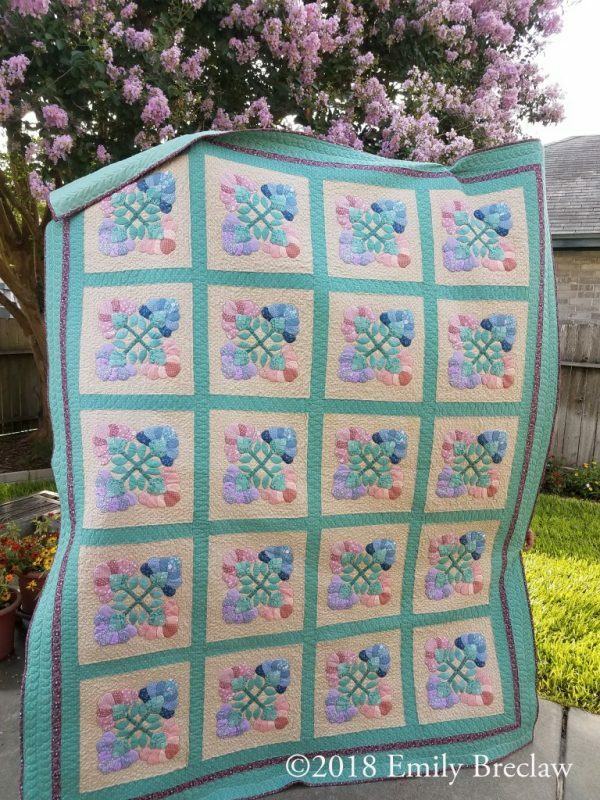 When not in her studio quilting, Emily enjoys spending time with her five kiddos, volunteering with scout programs at the school, and gaming with her wonderful husband. I love Hexpresso because it’s an easy entry into English paper piecing. You don’t have to sew a single y-seam. (But if you want to learn how afterwards, check out my book and website!) I also adore the combination of cotton and felt in this project. 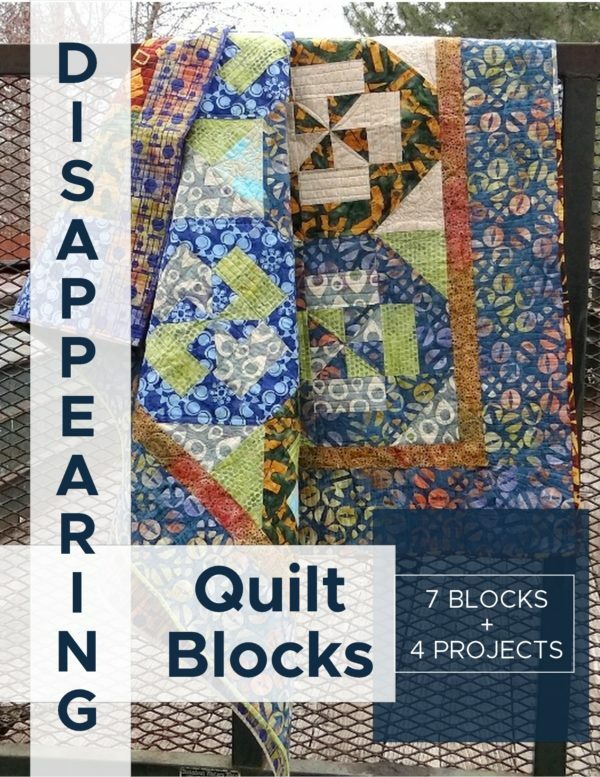 It makes finishing simple, and gives you a wonderfully textured finished project. Cardstock, needle, thimble, thread (both for basting, sewing, and quilting, so you’ll probably need several different colors. Basting thread can be any color, then pick one that matches your fabrics for piecing, and one that matches the background felt for quilting. Everyone has seen hexagons made into flowers. I love putting a new spin on that idea, and creating flowers out of different 60 degree shapes. 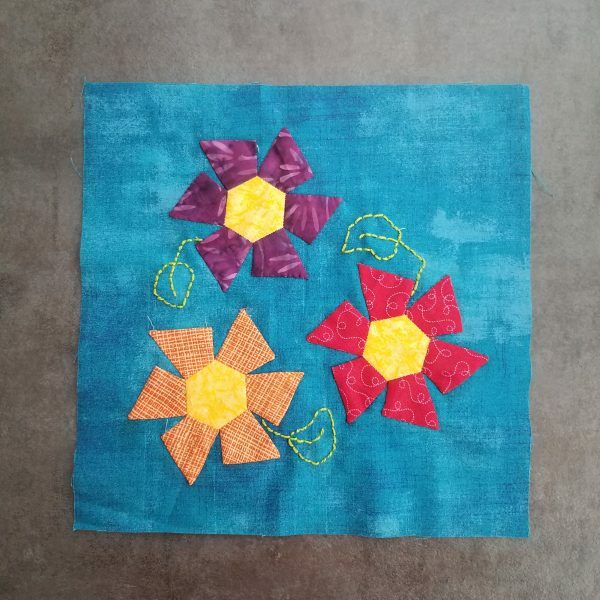 These little spinning daisies are an even easier introduction to EPP than Hexpresso, and they sew together so simply. I hope you’ll give them a try, even if you’ve never tried the method before. My sister and I saw a magazine picture of a yo-yo quilt, and decided to try making them on our own. Thousands of yo-yo’s later, we both finished gorgeously different quilts, and started exploring traditional quilt making. Color! I love seeing unusual color combinations in nature, especially flowerbeds. They’ve inspired some of my best quilt designs. I also adore the work of Japanese quilters, and draw inspiration from their meticulous style. A soft thimble (I especially love the one from Clover), a Thread Cutterz ring for trimming threads, and Clover wonder clips. I keep these in my hand-sewing travel kit, on my studio countertop, and usually in my purse too. That way I’m ready to work on a hand-sewing project anytime, anywhere. 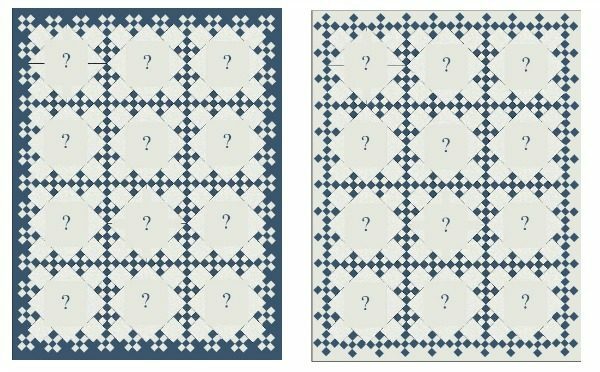 I’m working on several new projects and patterns, and will be doing a quilt-a-long with some free patterns I designed for Lecien fabrics. Sign up for my newsletter to stay in the loop. 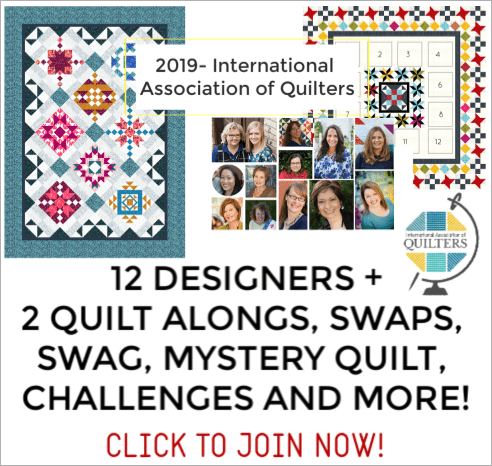 So, I have an amazingly supportive husband, who goes to Quilt Market and shows with me every year; he probably gives a better elevator-speech about my business than I do (that’s not the quirky fact). On the other hand, he is an avid board-gamer, and has a collection of games that rivals my fabric stash. Each year we go to a Board Game Geeks Convention (yes, this is a real thing!!) together, which is a ton of fun. So when I’m not quilting, I’m usually playing board games or video games with him and our kids.